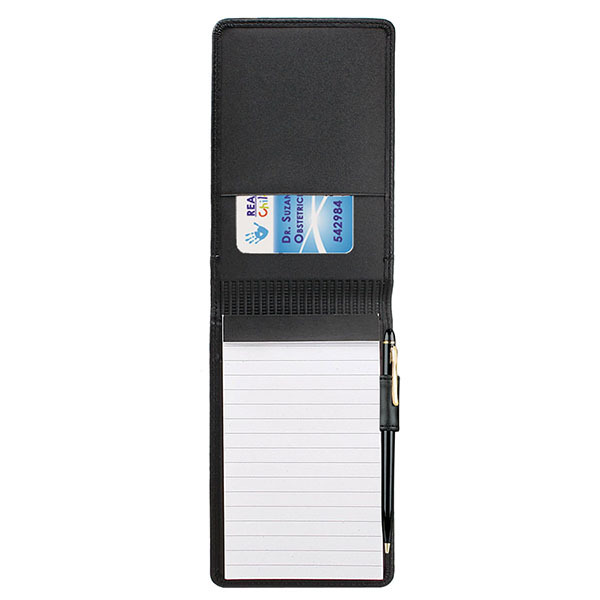 Customers are bound to take not of your brand when you hand out the St. James pocket jotter! Measuring 3 1/2" x 5 1/2" x 1/2", this mini notebook features a soft padded and stitched construction protecting a 3" x 5" paper pad and elastic loop. 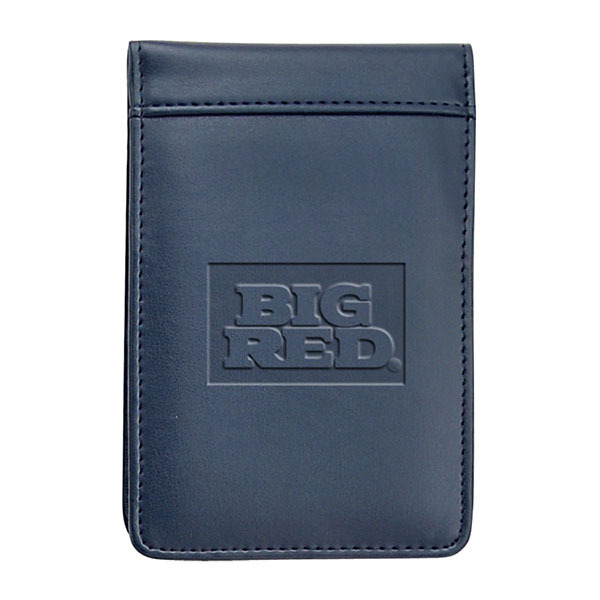 It also has pockets for business cards and conveniently fits in your jacket or shirt pocket. Customize with an imprint of your company logo and message for increased brand exposure on a desirable giveaway. Item Size 5 1/2" x 3 1/2" x 1/2"
Case Dimensions 11.375" x 12.625" x 7.875"
Foil & Deboss Combo 2" x 2" 1 color, 1 position imprint N.A.